INDOOR EVENT. FREE ADMISSION. ALL AGES. 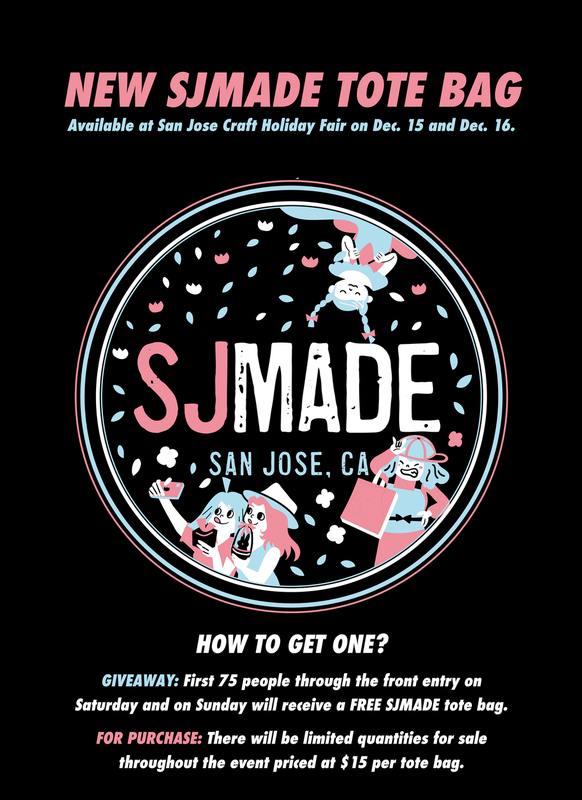 Join San Jose Made and over 250+ makers, artists, designers, food producers and emerging brands for this year's San Jose Craft Holiday Fair! 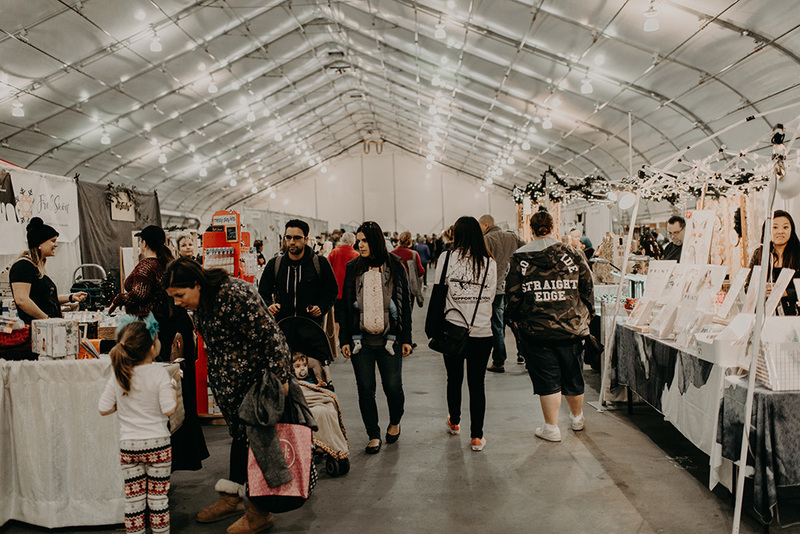 Over the course of two days, San Jose Craft Holiday Fair will offer a festive, large-scale, all-in-one holiday shopping experience featuring an amazing showcase of handcrafted, artisan and brilliantly made goods perfect for gifting this 2018 holiday season! 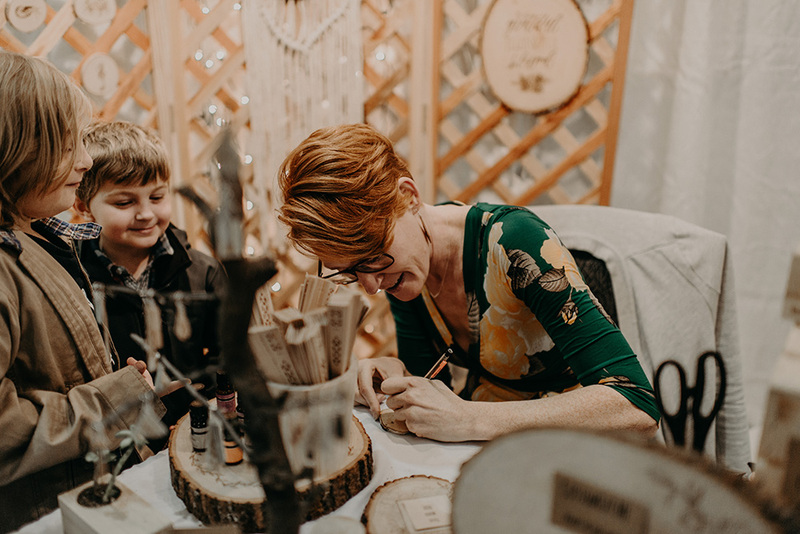 In addition to an amazing holiday shopping experience, San Jose Craft Holiday Fair will feature a locally sourced food and drink menu including local craft beer and local wine + DIY workshops (scroll down to view this year’s Workshop Schedule) throughout the event. To stay in the loop, follow us here and on Instagram (https://www.instagram.com/sjmade). There is ample street parking available in downtown San Jose. Additionally, all of the downtown San Jose parking lots are listed on http://parksj.org. There are several parking lots one block away from the venue. Plus street parking is free on Sundays! No, we do not. Street parking is free on Sundays though we recommend reading the street signs before parking. Pets are only allowed into the venue for ADA (American Disability Act) purposes. Yes! We will be partnering with Team San Jose to provide a tasty locally sourced food menu for the event. We will publish the food menu sometime in November. Will there be coffee at the event? Yes, there will be local coffee drinks and espresso drinks at the Academic Coffee Pop-Up Cafe. Yes. We plan to offer at local craft beer and wine on the event’s menu with the ability for attendees to walk around the entire event (vs an enclosed beer garden / wine garden space) with their drink. Will there be a door giveaway? Yes! We are giving away free SJMADE tote bags to the first 75 people through the front entry on Saturday and the first 75 people through the front entry on Sunday. We will also have these tote bags for sale in a very limited quantity for $15 each. 244	PMillustrations / Peck Design Co.
201	Feed the Fish Co.
430	Small Batch Jam Co.
Our friends and renowned muralists Roan Victor and Sean Boyles of The Arsenal will be running three workshops on Saturday and three workshops on Sunday. They accept walk-ins but there are limited spots, so we highly recommend reserving your spot online (find more info about individual workshops below). Find them at Booth 287. 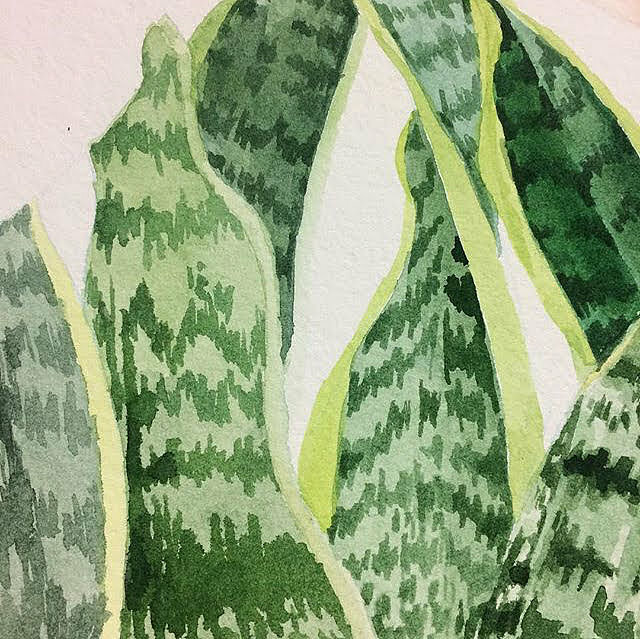 "Join me for a delightfully relaxing time painting plants in watercolor! 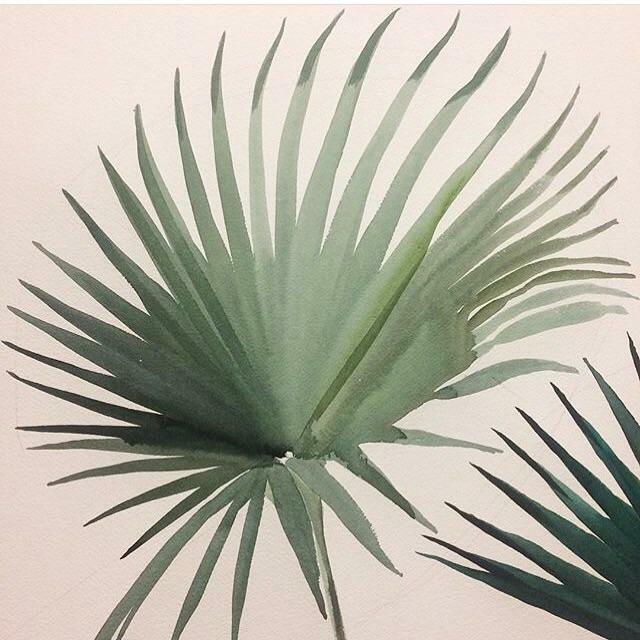 The workshop will start with some warm-ups and a rundown of basic techniques to loosen up and get familiar and then off to painting foliage and flowers!" In this hour-long workshop you have an option to create your own stencils or use pre-cut shapes and create your own design and composition on a wood panel using an array of colorful water-based spray paints. 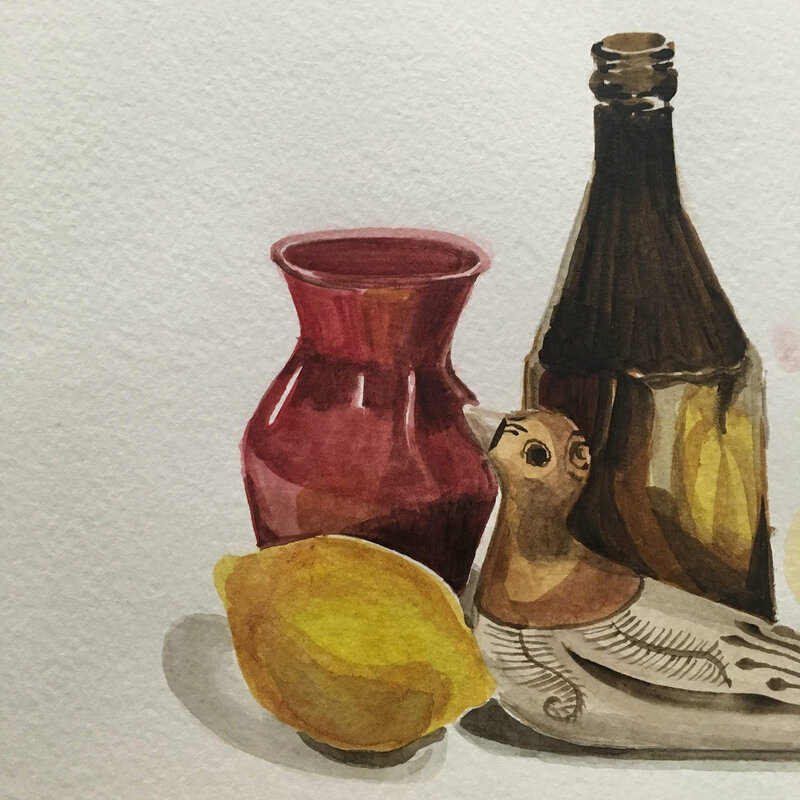 "Join me for a delightfully relaxing time painting some still life in watercolor! The workshop will start with some warm-ups and a rundown of basic techniques to loosen up and get familiar and then off to painting fruits and vases!" Through Fractal Flora, Yuri Lee and Sarah Lim have a mission to reconnect people to nature, be it through their wonderful curation and care for the plants and flowers they sell or their wildly popular DIY terrarium workshops. Find their workshop at the Large Workshop area near the rear of the venue. 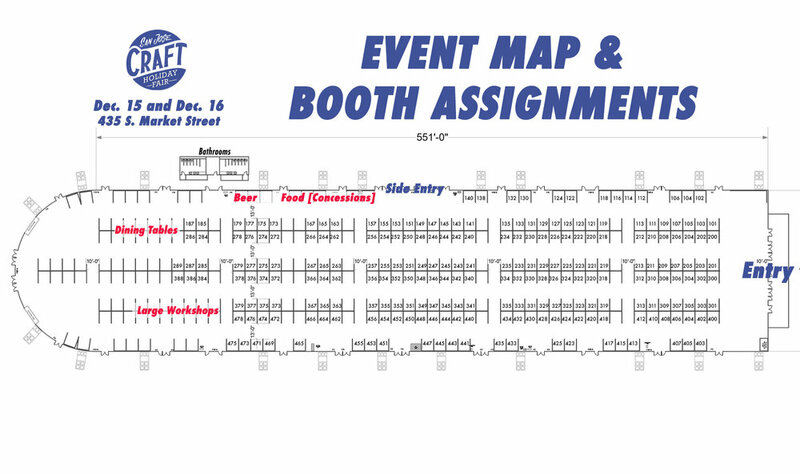 Find the Fractal Flora’s booth at Booth 340 where you can pre-register before the workshop begins at 3 PM. Make your very own holiday wreath! This wreath is made with beautifully dried florals to make it last! Bring a friend or two to spread the holiday cheer! Supplies, snacks, and sips are provided. Elton Glover of The Abstract Fox is constantly experimenting with new ways to create abstract art with the liquid pouring technique. He really enjoys the process of creating new works! The intention behind this class is to introduce a person to the liquid pouring form of abstract painting. The class provides everything the participant needs in order to create their first unique piece of artwork using this technique. All supplies included. Elton will supervise and help anyone with questions for the remainder of the workshop. Find his workshop at the Large Workshop area near the rear of the venue. Find The Abstract Fox’s booth at Booth 473 where you can pre-register for the workshop. Send Elton an email at eglover10@gmail.com. Include your name, mention that you plan on attending the Liquid Flow workshop and list what payment method you used to submit payment. The workshop (more like a class) is intended to introduce people to creating liquid flow paintings! By the end of class, participants will walk away with a unique 12"x12" painting that they created. No experience needed, and all required supplies provided. Stop by Bike City: SJ's "Craft & Relax" Booth #185 and make your own stenciled postcards and gift tags, while you take a load off from shopping. All ages welcome for this free activity. Live silkscreening will occur throughout the day! Bike City: San Jose is a project generously funded by the Knight Foundation. Led by Shannon Knepper of War Admiral Press. Her mission is to encourage and celebrate bike culture through art. 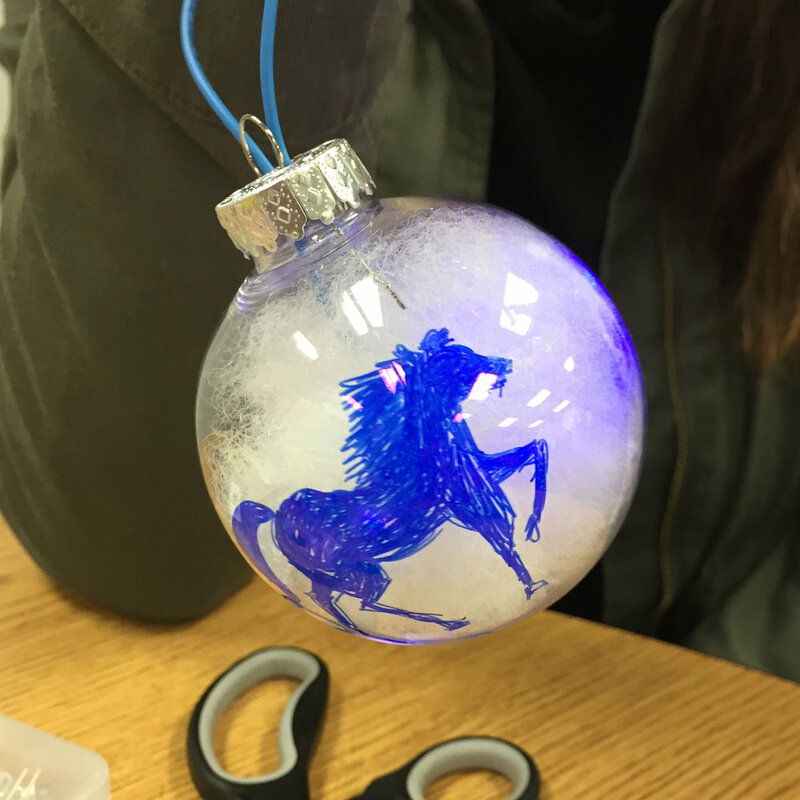 Come make playful holiday ornaments at the Alliance for Youth Achievement (AYA) free activities booth. 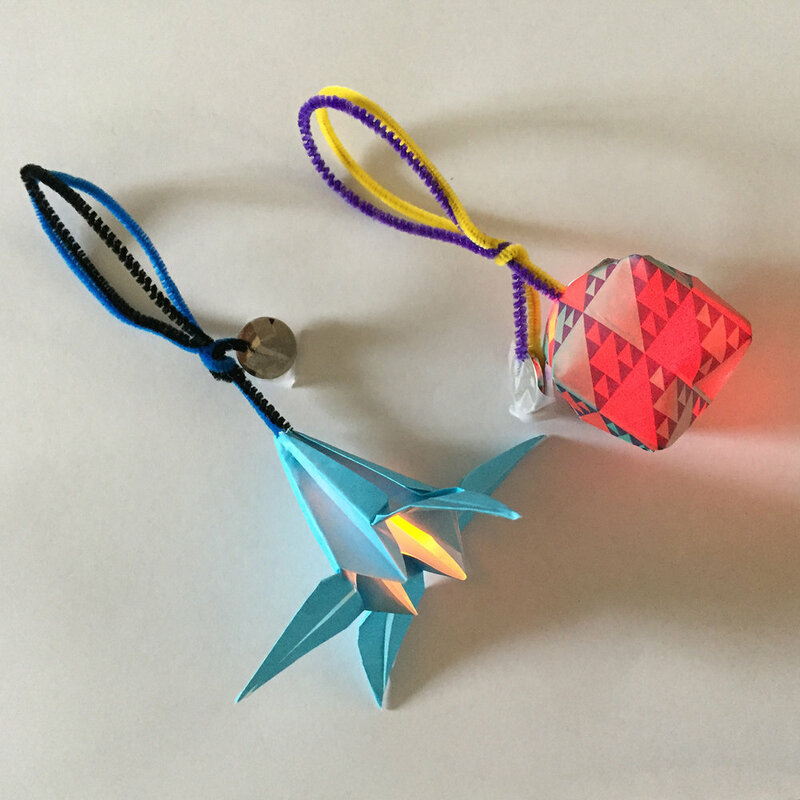 Design your own Glowing Cloud Ornament, light-up origami ornaments, or design your best ugly sweater ornament! All materials and instruction will be provided by the AYA and the AYA Youth Teen Leaders. Get your creative juices flowing at our booth and make your own gift ornaments for the holidays. 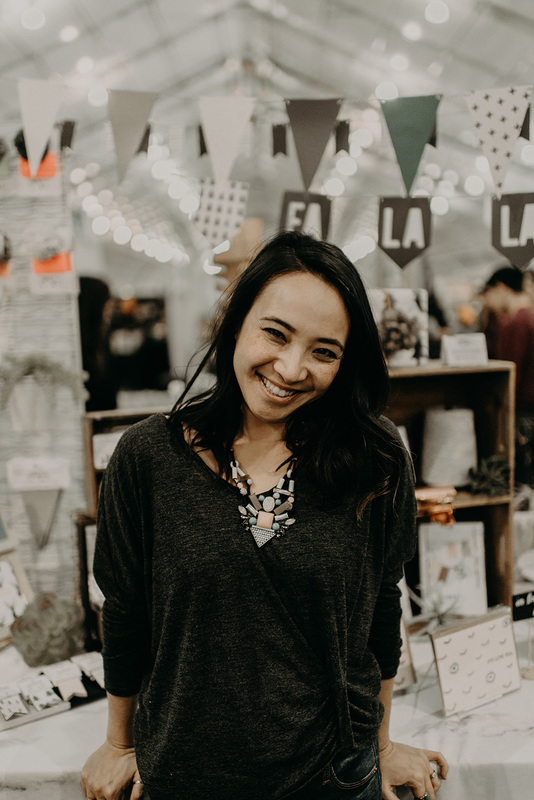 Ashley Merz of The Source Zero has been passionate about making her own body care products for 8 years, and loves teaching others how easy it can be! This small workshop is just the tip of the iceberg. She will demonstrate how to make a lip balm and a lotion bar. Come watch and give it a try at home or come to one of her hands on classes at MOMENT in the Spring of 2019! Check out The Source Zero for upcoming details. Pick and choose your own felt flowers or have maker and owner of Feed the Fish Co. Erin Garcia create a felt flower crown for you. $40 for a five-felt-flower crown. Prices may vary for additional customizations. 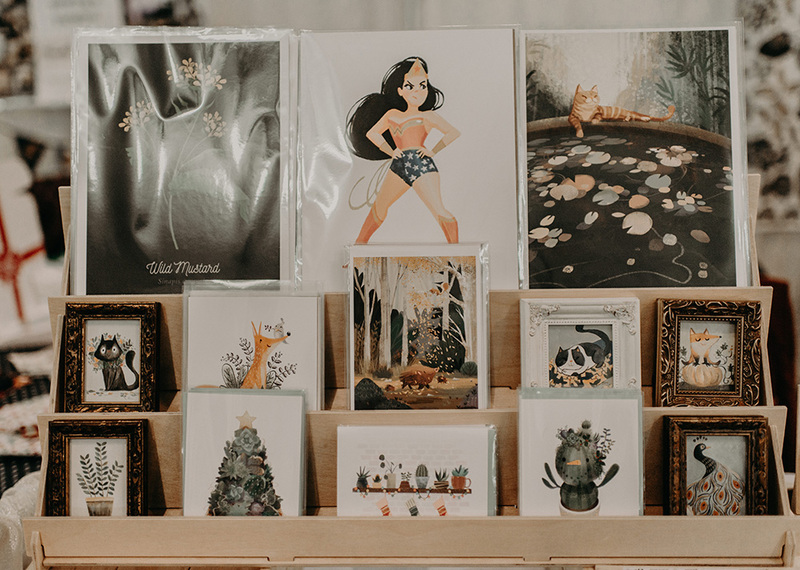 Our friends at CONTENT will be bringing their always-incredible photobooth experience to this year’s San Jose Craft Holiday Fair. 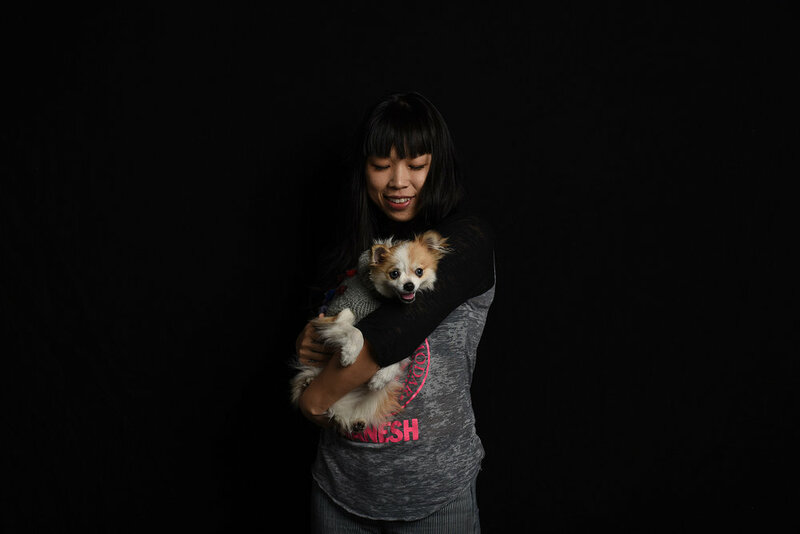 Through tremendously high-quality photography and storytelling, CONTENT spotlights and showcases the innovative and creative people of San Jose and Silicon Valley. CONTENT’s photobooth will allow anyone attending the event and anyone vending at the event the opportunity to get their photo taken by one of CONTENT’s professional photographers—making this an amazing and FREE opportunity to update your social profile photo or website photo. Find them at booths 351 and 353. 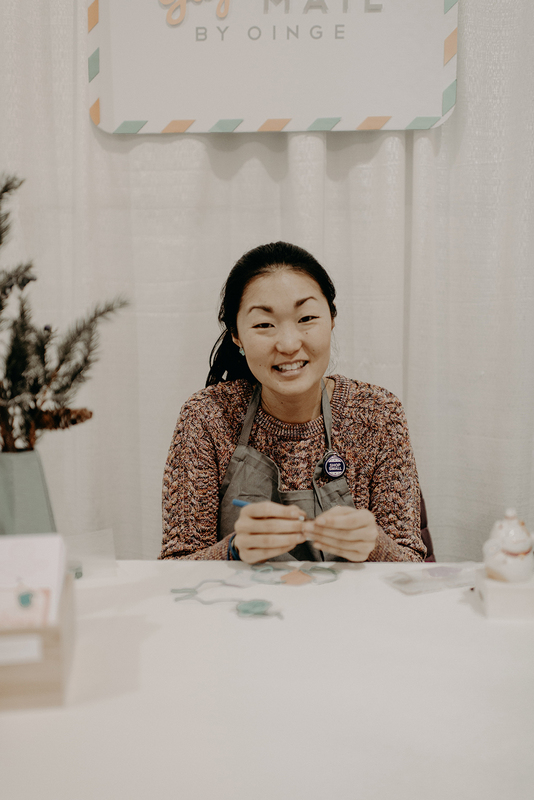 Photos below from the CONTENT photobooth at the 2017 San Jose Craft Holiday Fair. PHOTO CREDIT: Daniel Garcia of CONTENT. CONTENT Magazine has selected the following makers to feature in its holiday gift guide! Back by popular demand: San Jose merchandise! You can find the San Jose merchandise available for sale at the info booth near the front entry of our event. We will ONLY be accepting credit card payments during the event. 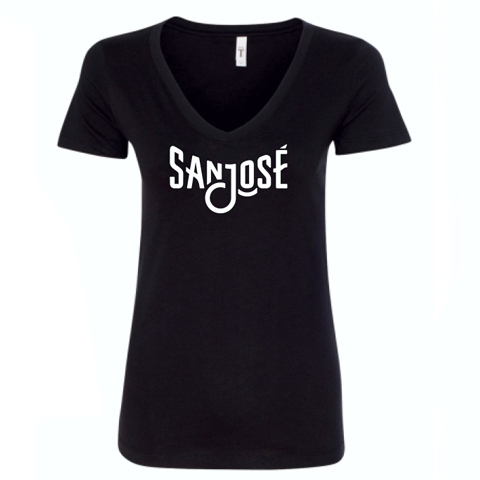 San Jose Ladies V-Neck T-Shirts available in sizes S to 3XL. 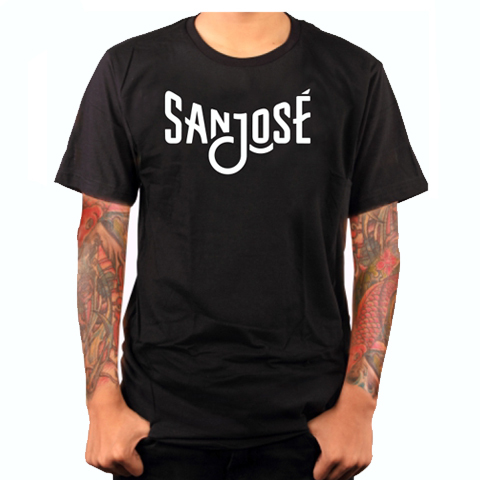 San Jose Unisex T-Shirts available in sizes XS to 3XL. San Jose Hoodies available in sizes S to 3XL. San Jose stickers available as 3” stickers or 5” stickers.